Over the past few days, Swedbank has been dominating money-laundering related headlines. Far too much has happened to fit into my weekly roundup, today I am taking an in-depth look at what we know so far. On Friday 22nd March, Swedbank released a heavily redacted report conducted into activities at the bank. The report was limited in scope, dealing only with whether any of 50 entities named by Swedish Broadcaster SVT last month had been clients of the bank at any point, and if so, when or if those accounts were closed. Between the limited scope and the redactions, it’s hard to know the extent of the issue, and shareholders criticised the report for this. All we know is at least some of the entities were clients, but that no accounts were opened after May 15, 2017. On March 26th SVT released that a draft of a report had been sighted, identifying a number of failings, apparently written by former deputy chief of Norway’s Economic Crimes Authority, Erling Grimstad. These failings included accepting a significant number of high-risk, non-resident customers despite “lack of information regarding beneficial owners, corporate structure, source of funds and the real nature and purpose of the business relationship.” The report said as much as $23bn in potentially suspicious flows passed through Swedbank’s Estonian unit every year between 2010 and 2016, mostly originating from Russia. Alleged beneficiaries include Paul Manafort and Viktor Yanukovych. On Wednesday March 27th news broke that Sweden’s Economic Crime Authority (ECA) were raiding the headquarters of Swedbank in connection with whether insider information rules were broken by giving advance notice of the original SVT broadcast (where the initial allegations against the bank were made) to the largest shareholders. That evening the ECA expanded the investigation to potential aggravated fraud, after it was announced the Department of Financial Services (DFS) in New York were looking into whether the bank provided misleading information following requests related to the Panama Papers. On Thursday March 28th Swedbank sacked Birgitte Bonnesen, their Chief Executive, shortly before holding the annual general meeting in Stockholm. Part of the allegations of fraud could have come from some statements she has given which were described as ‘misleading’. The AGM went ahead, re-electing Chairman Lars Idermark and his colleagues and freeing them from liability for 2018. However, after the meeting shareholders Alecta and AMF said they may seek an extraordinary meeting to elect a new board. The weekend brought accusations that the Bank’s board had hindered investigations by refusing to hand over key information, likely the report cited above by Mr. Grimstad. 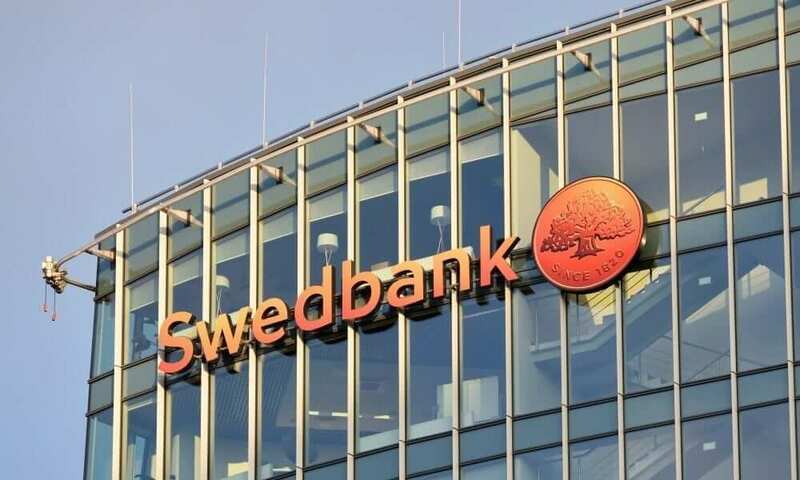 Swedbank’s lawyers made a statement that handing over the documents would have meant waiving attorney-client privilege and the prosecutor’s decision to seize the documents is “in direct conflict with Swedish law”. In summary, Swedish and Estonian financial supervisors are investigating, as are US regulators. Over $100 billion of illicit funds could have passed through, and the CEO has been dismissed. In a final, additional concern for the region, Estonian and Latvian regulators have pointed out that with Swedbank being the largest bank in the Baltics, if they were forced to withdraw together with SEB, these countries would face a shortage of banking services. Unfortunately for them, we probably haven’t heard the last of this story. We will be sharing updates on the story via our social channels. Stay tuned for more information and a potential wrap up in this week’s round up report.